In my final post exploring the connection between oral health and imbalances that may affect your brain, we look at the importance of HOW we eat. Even when we are mindful about what food we choose to eat, the act of eating can increase or decrease how your body absorbs and utilizes the precious nutrients within each meal and the result will not only be healthier teeth but a healthier mind and body. When was the last time you took a moment to look at your meal before digging in? Did you notice the colors, presentation, and aroma? Were you aware of your energy and stress level? Did you pay attention to your hunger level and the environment around you? All of these moments of awareness affect your body’s ability to digest your food before you even take a bite. Few people know that eating in a state of relaxation with a focus on the task of eating can actually help to prevent cavities. Dr. Jeremy Cobb, owner of West Linn Family Dental (West Linn, OR) explains that eating in a relaxed state allows us to benefit from the parasympathetic nervous which sets us up to “rest and digest”. In this state the main glands in the mouth, the parotid, sublingual, and submandibular glands produce more mineral rich saliva. The minerals in saliva are responsible for re-mineralizing (repairing) tooth structure during and after meals. Saliva also contains a buffering component which helps neutralize the acidic pH that is immediately present in the mouth after eating. Eating slowing and mindfully will enhance your body’s ability to maintain healthy teeth. In addition to preventing tooth decay, eating away from distractions like computers, driving, etc. allows the rest of the digestive process to proceed efficiently, therefore enhancing the absorption of nutrients that are vital for brain function. Saliva not only helps to keep teeth healthy, but it begins the digestions of carbohydrates within the mouth. When we eat peacefully, the body also increases the release of stomach acid which facilitates the digestion of protein and goes on to stimulate the release of pancreatic enzymes which break remaining food molecules down so that they can be absorbed through the intestinal cells and into the bloodstream. When we eat in a state of stress, this natural digestive process breaks down from the mouth all the way to the colon and if this happens consistently, we suffer from poor absorption which leads to malnutrition of vital micronutrients. This means you could be eating all of the right things, yet not absorbing them well. In addition, a poor digestive process can cause inflammation and degradation of the intestines leading to damage and a cyclical inflammatory process. While malnutrition will negatively affect your brain, inflammation is now understood as a major cause of cognitive decline. 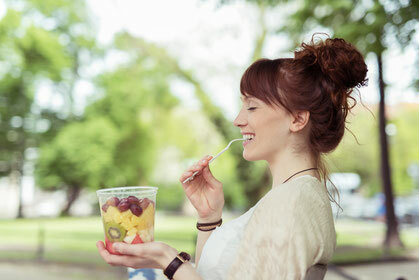 Mindful eating is one of the best things your can do for your teeth, your brain and for your general health. Next time you sit down for a meal or snack, try finding a quiet place, turning off your computer and setting your phone out of reach. Pay attention to who you choose to eat with and notice if their presence affects your energy. Take three deep breaths focused on calming your body and mind. Look at your food and take a moment to smell any aroma rising from your plate. Take a bite and slowly chew your food noticing flavors, textures and changes as you chew. This is the first step to beginning a mindful eating practice. 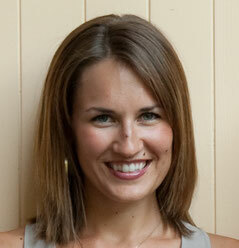 To learn more about mindful eating and whole food nutrition, click here to contact Pep Wellness. If you missed the other articles in this four-part Series, be sure to read Part I, Part II, and Part III to maximize the impact your nutrition choices have on achieving optimal brain functioning. Note: If you experience cavities or any of the neurological symptoms above, set yourself up for good nutritional status by eating a whole food diet and avoiding processed and refined foods. This is the foundation of good nutrition but due to our unique biochemistry, each one of us has increased needs for specific nutrients based on our body’s ability to digest and absorb nutrients. I advise all of my clients to find a knowledgeable functional medicine MD, naturopath or trained nutritionist to guide you through proper testing and supplementation.